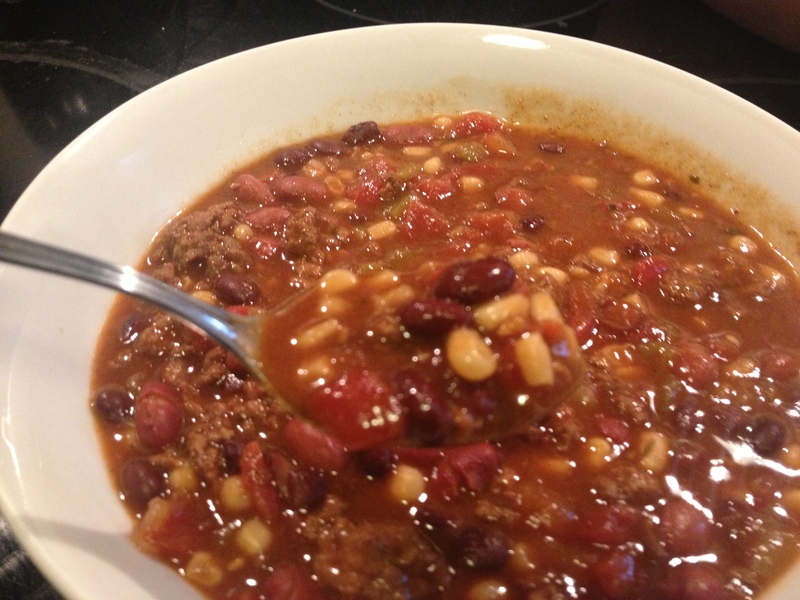 This recipe is nice and hearty, and a great winter staple in any house. My version is a little on the spicy side (for example, my youngest won’t eat it, but my 2 older kids love it). I suppose you could make it milder by using plain tomatoes instead of rotel, or a “mild” version of the green chiles and verde sauce. You could also reduce the Cayenne by half. You can also mix in some reduced fat sour cream to cut the heat. I hope you enjoy this one as much as I do. Best part? 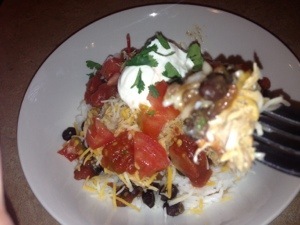 It’s another great crock pot recipe for those busy nights. Drain the liquid from your Rotel, and Corn if you’re using canned. Also drain 2 of the 3 cans of beans. Place Chicken in the crock pot, and pour contents of all the cans on top of it. Place Chopped onion and 1 TBSP water in a small bowl and microwave for 30 seconds. Then dump it into the crockpot. Add Cumin, Salt, Pepper, and Cayenne Pepper into the Crock Pot. Remove Chicken, shred it with a fork, and return it to the pot. This was pretty family friendly, and it’s derived from a recipe i found in cooking light. They suggested making one of these in a glass pan for now, and one in an aluminum pan to freeze for later. I’m always looking for something easy and handy on a busy night of piano, or girl scouts, or t-ball, so that’s exactly what I did. I haven’t reheated the frozen one yet to see how it turned out, but if you want to do this too, simply take the one you want to freeze out of the oven after 10 min, let it cool entirely, Cover tightly with foil and freeze for “upto 2 months.” Bake it uncovered at 400 for 45 min. 1. Bring 2 cups water, pepper, 1 tbsp garlic, and bay leaf to a boil in a large saucepan. Add chicken to pan and reduce heat and simmer, 15 minutes. Stir every 5 min or so. Remove chicken and shred with 2 forks. 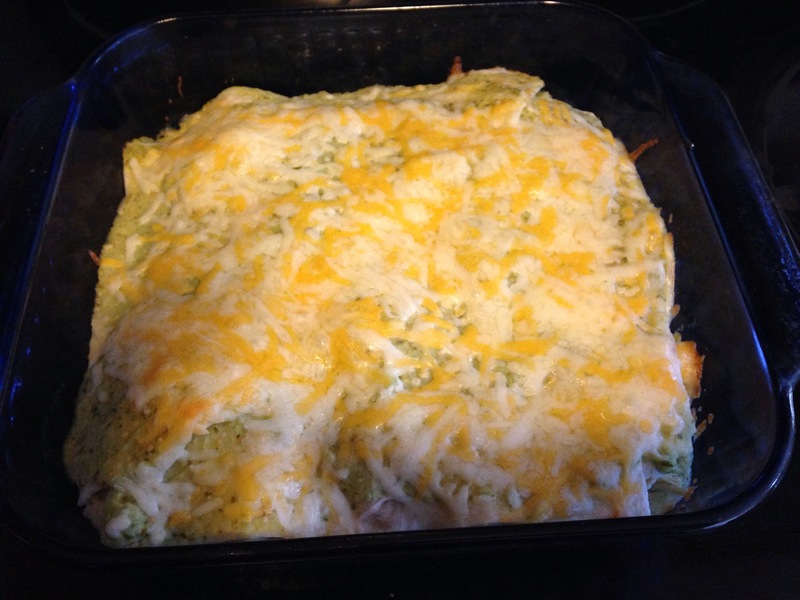 Place chicken, salt, 3/4 cup Monterey Jack cheese, and scallions in a bowl and mix well. 2. Place 1 tbsp minced garlic, cilantro, tomatillos, and chiles in the blender or food processor and “puree” until finely chopped. Add milk and cream cheese; process until smooth. 3. Coat 2 (8-inch) square glass or ceramic baking dishes with cooking spray. Spread 1/2 cup tomatillo sauce in the bottom of each dish. Cut each of 15 flour tortillas in half. 4. On top of the sauce, arrange 5 tortilla halves (place 4 around edges, flat side against each edge of the pan, and one in middle). Top each dish with one-fourth of chicken mixture. Top each layer with 1/4 cup tomatillo sauce again. 5. Repeat layers once more: Tortillas, remaining Chicken, 1/4 cup tomatillo sauce. Finally, top each pan with one last layer of remaining Tortillas, and remaining tomatillo sauce. 6. Spread remaining 3/4 cup of Monteray Jack Cheese evenly over the top of both pans. 7. Cover pans in foil and Bake at 350° for 25 minutes. 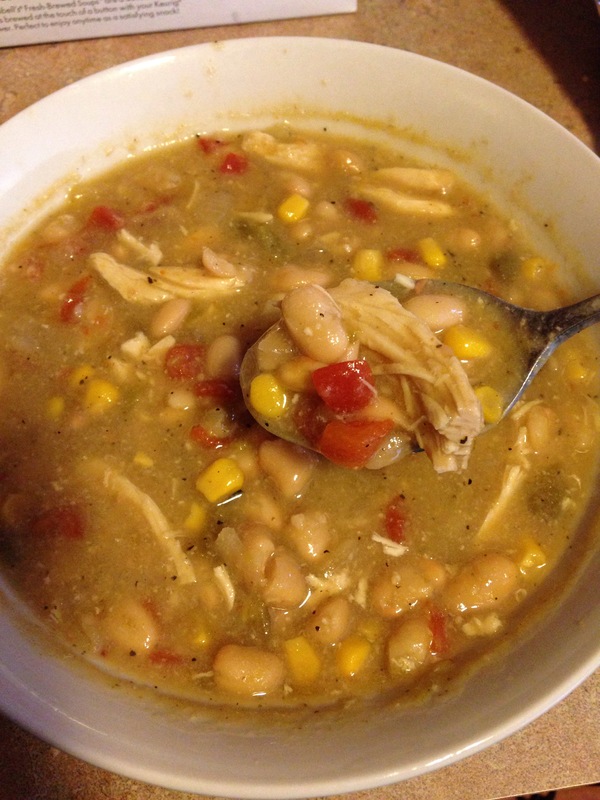 This is prime soup weather, and it doesn’t get much easier than this delicious soup! 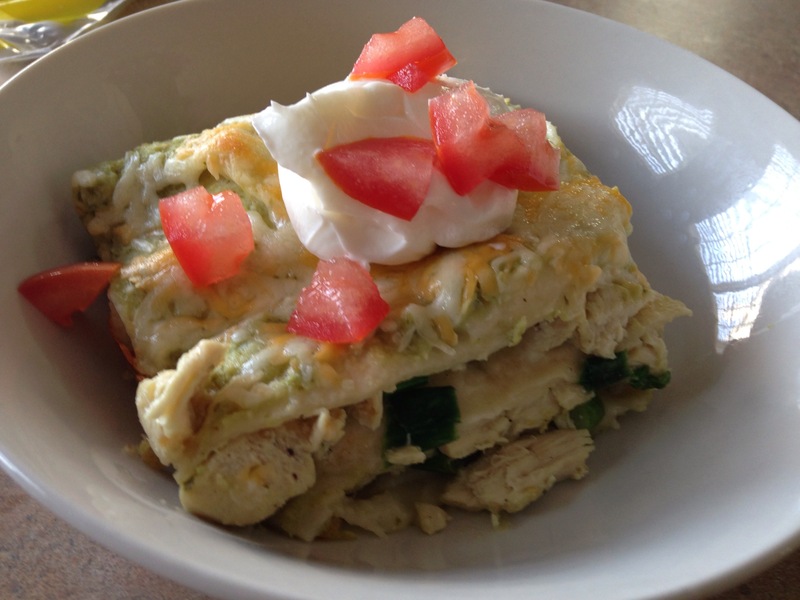 Serve with a little 2% shredded cheese , Greek yogurt and tortilla strips if you’ve got calories to spare! 1. 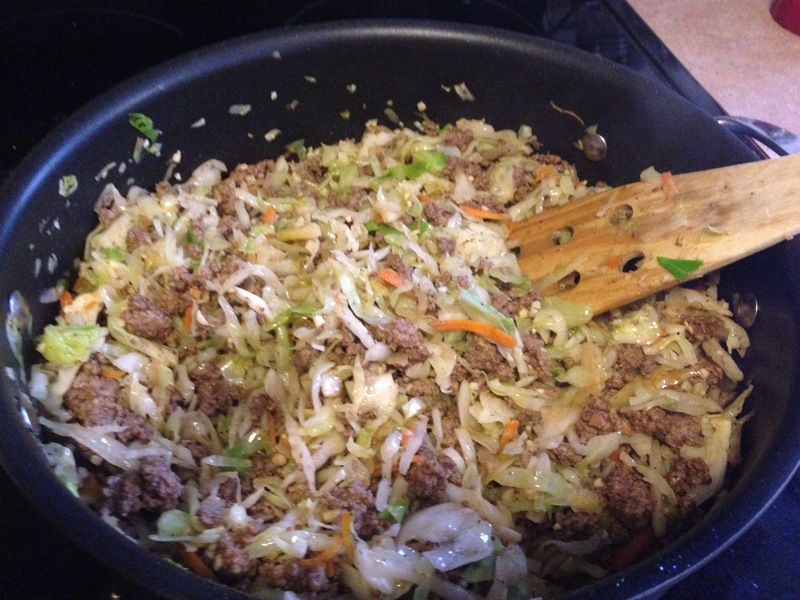 In a skillet, cook ground beef and onions until done. Drain fat if there is any. 2. Throw all ingredients in a crockpot and mix. 3. Cook on low 6-8 hours. Makes 10 (1 cup) servings. This recipe is cumbersome, and I apologize in advance for the overwhelming list of ingredients. But, this is a marriage of 2 of my other recipes, and one that I really enjoyed. I thought the best way to present this is to give seperate directions/ingredients for each element (pork, beans, other) individually. I’d start with the pork in the crockpot in morning, and then come home to make the beans and rice. Enjoy. 1. Place the onion, pepper, salsa verde and lime juice into crockpot. 3. Top with all listed spices. 6. Either use tongs to remove pork for tacos, or, I prefer to place the mixture in a skillet and cook on stovetop until extra juice evaporates. I think it gives better flavor. 6. Stir in the vinegar and cilantro. Season to taste with salt, black pepper, and chili flakes, if desired. Keep the bean mixture warm. 1.Cook Rice according to package directions. Place bullion cube in the water used for rice. Portion out cooked rice into 8 bowls or containers once cooked. 2. Top each Bowl of rice with one portion black bean mixture, and one portion of pork (4 oz). 3. Top each bowl with 2 TBsp sour cream, 2 tbsp cheese, 2 tbsp Salsa, and diced tomatoes and cilantro to taste. These were pretty darn tasty, and I can’t hardly believe how low the calories were. I have gone a whole year without making a quesadilla, because I thought there was no way I could get it to be calorie friendly, but these new low-carb tortillas I’ve found have really been a game changer. And they are really good. They’re not a weird texture or a weird taste. They’re just like a regular tortilla. Thank you low-carb Gods for sending me these puppies! 1. Slice onions and peppers and set aside for now. Chop jalapeños into little pieces and set aside in a separate container. 2. Heat your electric skillet or griddle to 375. 3. Thinly slice chicken breast, then cut the slices in half. Season to taste with salt and pepper. 4. Heat a skillet on the stove, and spray it with non-stick spray. Sauté onions and peppers until they begin to caramelize. Then remove them to another container. 5. Re spray the skillet with non-stick spray and sauté chicken until cooked through. 6. Now turn off the stove and move all of your food items to the griddle. You’ll want everything close. This part goes quickly. 7. Spray griddle liberally with spray and place one tortilla on the skillet. 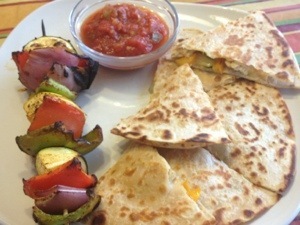 Sprinkle 1/4 cup cheese evenly over tortilla. 8. Layer 1/4 of onion, pepper, chicken and jalapeño over cheese. Cover this with remaining 1/4 cup cheese. 9. Cover with a 2nd tortilla. Spray the top tortilla lightly with nonstick spray. 10. Carefully check the bottom tortilla by gently lifting the edge with the spatula. You want to use the widest spatula you have here. 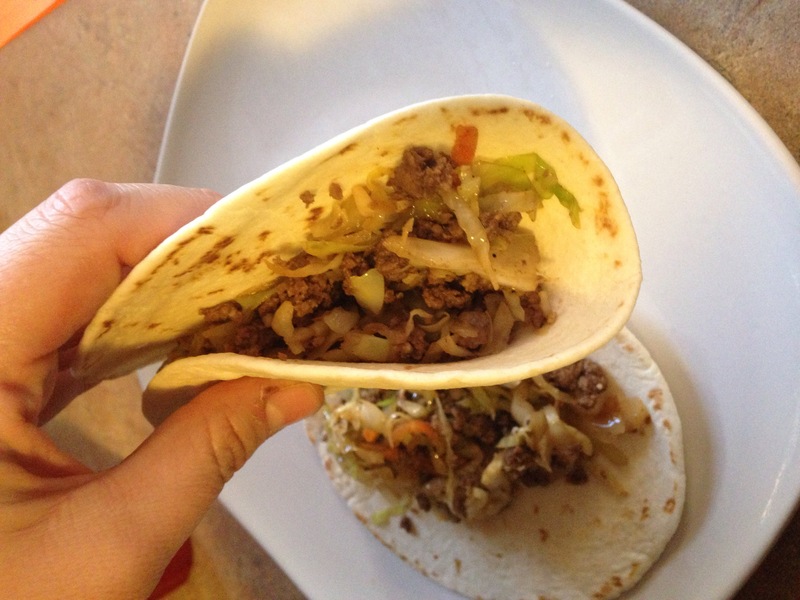 When it reaches the desired color, place the spatula under the bottom tortilla and carefully flip the whole thing. 11. 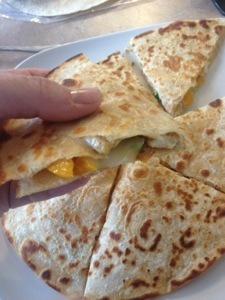 Once each side has browned nicely, remove quesadilla to a large plate. Use pizza cutter to cut into 8 slices. 12. Repeat with remaining ingredients. Makes 4 quesadillas. Approximately 10 weight watchers points plus per serving.